Absolut vodka has announced the launch of MakerFest a new Canadian campaign that aims to connect with and inspire the next generation of Absolut enthusiasts through the shared language of art and contemporary culture. The new campaign was created around the emerging “ maker” community, where the brand is looking to create a cultural movement made up of artists, inventors, tinkerers and entrepreneurs and combine traditional activities such as metalworking, woodworking and craft with technology-driven creativity, including 3D printing, device hacking, electronics and robotics. MakerFest is part of Absolut’s global brand campaign #TransformToday, which aims to connect with the spirit of creativity, and to inspire artistic transformation around the world. With its new brand ethos Transform Today, MakerFest will play a part in transforming the way the brand will collaborate with artists, and will strengthen its efforts to connect global audiences through the common language of art. MakerFest is being brought to life together with maker spaces in Vancouver, Calgary, Toronto and Montreal. 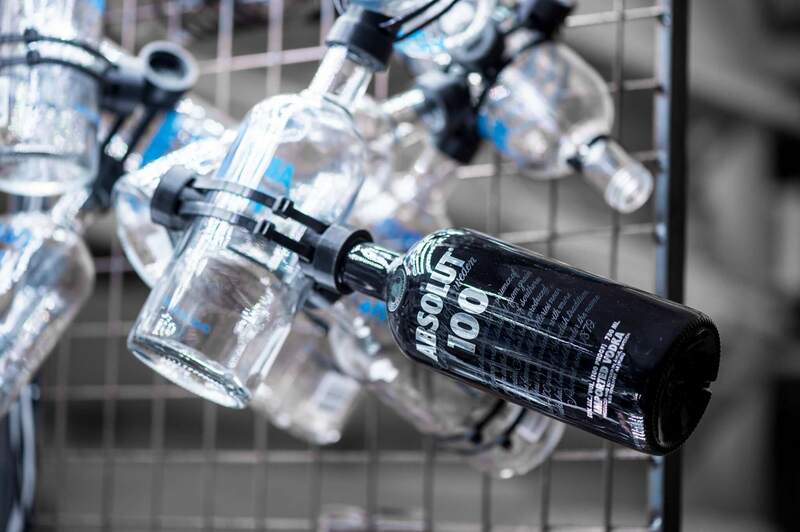 These partnerships include events in each city during which Absolut will engage and promote makers nationwide, showcasing their works, celebrating their passion and helping to drive excitement and interest in their craft. The program launches April 10 in Toronto at the Art Gallery of Ontario’s Massive 10 party, with an installation designed in collaboration with up-and-coming maker, Jonathan Moneta, owner of Makelab – a company that designs large collaborative 3D printing experiences. Inspired by the brand’s legacy as an enabler of creativity, Moneta’s installation – the Absolut Maker Construction Set – celebrates the maker culture’s ethos of open play, participation, and digital fabrication. 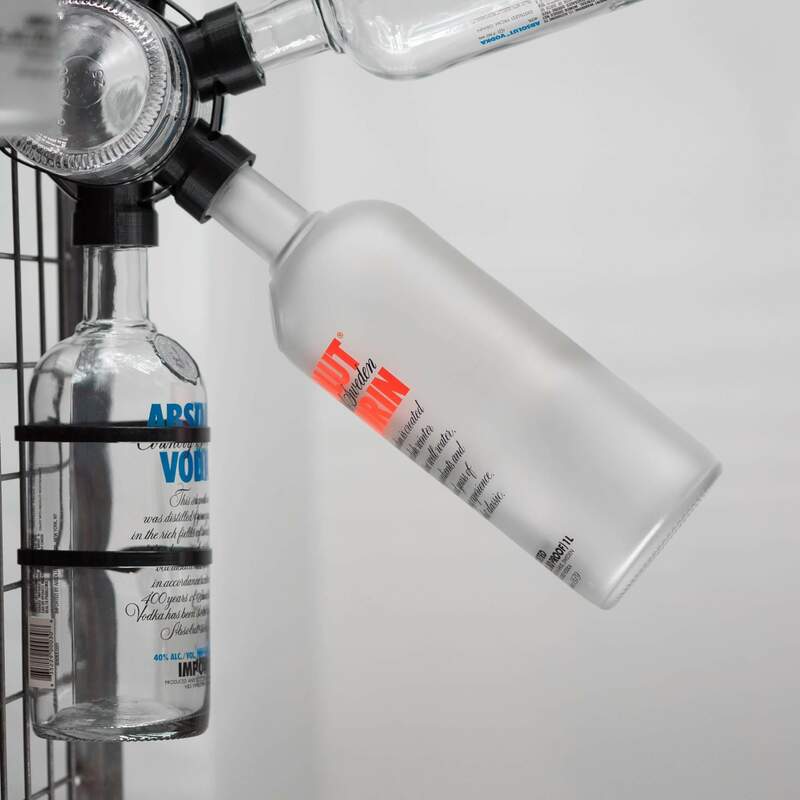 A duo of two-metre high sculptures will be brought to life using thousands of custom 3D printed connectors linked to hundreds of Absolut bottles. Fully interactive, the installation will be illuminated by hundreds of LEDs which can be colour-controlled by Massive10 party guests via Twitter. Guests tweet @AbsolutCanada with a hashtag colour of their choice, and the installation shines accordingly. The Absolut Maker Construction Set will travel the country, visiting the urban centres from coast to coast as part of an experiential campaign that includes regional make-a-thon challenges, bar bot competitions and a central showcase event, all supported by an integrated campaign including social and digital communications, paid media, and public and influencer relations. Additional elements of the campaign include a “Bar bot” contest where select makers will be challenged to team up and construct bar bots – drink dispensing robots that mix and pour cocktails featuring Absolut Vodka. Gallery-style spaces will be created nationwide to showcase the inspiring works. Maker pieces from outside the Absolut partnership will also be on display at the exhibits, giving further opportunity to promote the community’s creations. To highlight the work of the maker community at large, Absolut is challenging makers to hack its cocktails by creating the ultimate Absolut dispenser. Creations will be showcased at Maker Fest exhibits across Canada. A culminating event held late summer will be the ultimate celebration of world-class inventions, creations and mind-blowing works of art built by Canadian makers. The finale will showcase work from makers across the country, feature a chart-topping DJ and custom Absolut cocktails.